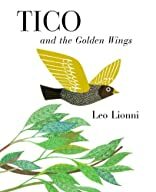 Tico, a little bird born without wings, is one day granted his dearest wish. But the wings he gets are made of gold and his bird friends turn against him. "You think you are better than we are," they say. What Tico does with his golden feathers-and the important lesson he learns-is a fable that children will take to their hearts.